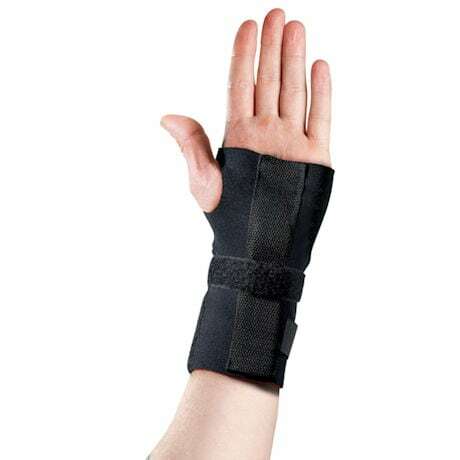 The Thermoskin™ Adjustable Wrist Hand Brace incorporates three styles of treatment helping provide relief from carpal tunnel syndrome, overuse injuries, sprains and strains. The secret is specially adapted three-layer Trioxin® fabric. Inner layer wicks away moisture, while the middle layer delivers heat therapy. Outer layer provides compression to reduce swelling, as metal splint and side stabilizers support your wrist. Adjustable locking straps provide a custom fit. Black. One size fits most. Imported.